Meals For . . . David Pellinen scroll down to sign up... Admin Password: GO! Edit Notes • Print Notes Notes from Kinuko Koga . . . There are three people in the household, two boys aging 10 and 7 and a dad. 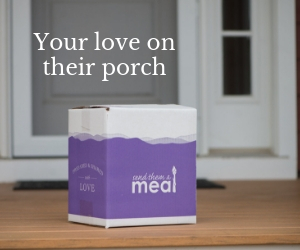 Please drop off the meal in a cooler box in front the door. They have no allergies or dietary concerns. Kids love fruits, onigiri ( rice ball), eggs, apples and carrots, but they are not picky eater. Between 5pm to 5:30pm is the best time for the food to be dropped off.